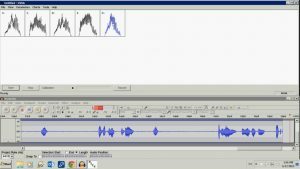 What’s all the hype about the CVSA and the technique of analyzing audio recordings to get results? It is the art of capitalizing on the most underutilized technical capability of the CVSA; analyzing properly formatted and recorded Structured/Covert interviews. The Structured format for CVSA examinations can provide many advantages to the seasoned Examiner, managers and supervisors of CVSA Examiners and will enhance any ongoing investigation. Narrowing the suspect pool, enhancing time management of cases, increasing department productivity, and analyzing recorded interviews of Cold Cases to name a few. Structured interviews provide that special platform to do just that. And any investigator with a good quality digital recorder can become a valuable extension of the CVSA. A Structured audio recording is all an investigator needs to move an investigation in the right direction to solve a crime or get the confession. In fact, you don’t have to be a CVSA examiner to digitally record interviews which can later be used to create patterns and analyze the charts from these recordings. With the proper training and guidance any Investigator can maximize the technical capabilities of the CVSA instrument. Step one: record the interview to create a standard WAV file as shown in the bottom half of the image below with the audio file. Step two: capture voice patterns with the CVSA instrument from the audio file to analyze the charts. For more information on using the audio recording capabilities of your instrument refer to your Certified Examiner’s Course (CEC) manual.